Preserve, protect & promote the Lipizzan breed. To view this page please sign in using your USLF Member credentials. Here you can renew or change your membership, manage your membership account details, control what details other members can see about you and perform other account management functions. 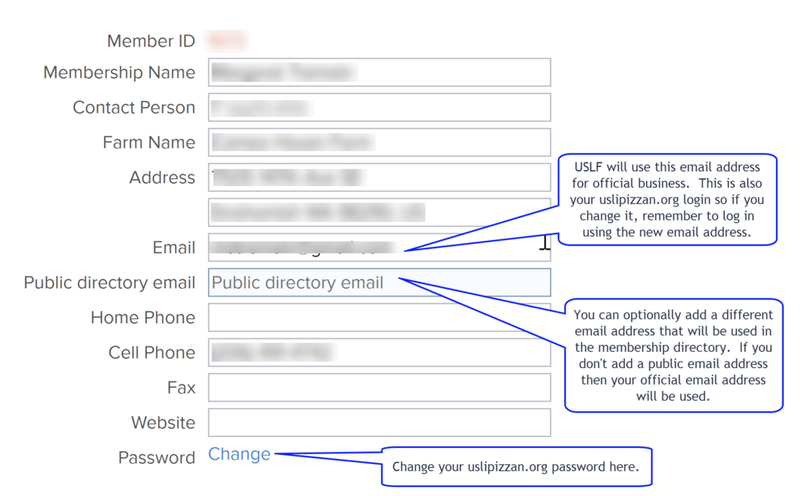 Your are now able to manage your membership online so if you change something here incorrectly, it will change your membership record with USLF and could result in missed communications and issues of USLF News. When you change something in your account, remember to scroll down and click the Save & Continue button to apply your changes. My Account has three tabs. Control your privacy settings - Do you want to hide some information from Member Directory? Do you want to allow other members to send you an email via the directory? 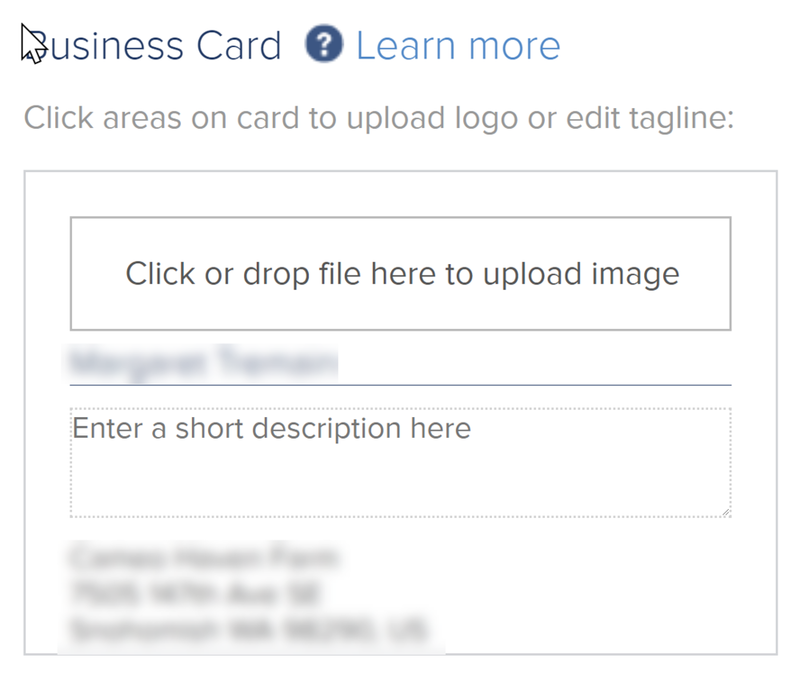 Create your "business card" that other members will see in the directory. Optionally add a logo or other image and a short (80 character) tagline that describes yourself and helps others find you. Add your favorite pictures of you and your Lipizzans to your Profile Gallery. Add a Profile Description. Tell other members a little bit about your Lipizzan story. Add your social media links if you would like people to find you on Facebook, Twitter, Instagram, LinkedIn, YouTube and other services. If you have a business you can even include your BBB, Yelp links. 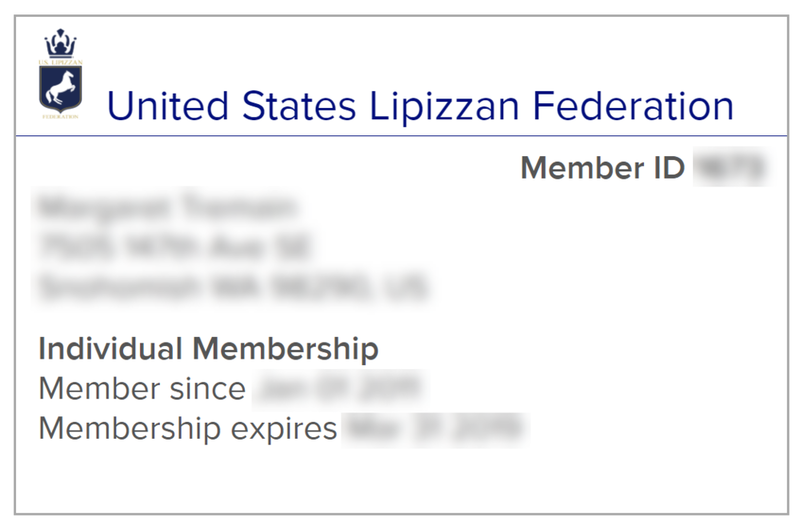 Print your USLF Membership card! Signs you out of your USLF Member Account. The Member Directory lets you see where all of our members are located on a map of the world. It also shows their business cards and if you click on their card you will see the profile information they have chosen to share. There are a number of ways to find members. Search for another member using the text search. The text search looks at a number of different fields in their profile so, in addition to name, you can search by city, state, or words people might use in their profile descriptions like an interest, horse or farm name. Locate other members near where you live using the Search by location filter. The USLF Events section shows you a list of upcoming events. You'll be able to register for and pay for the events online. You can also choose to view the events in a scrolling calendar. In the future the USLF plans to let you add events in your area like shows and clinics. Look for more information on this feature in upcoming months. Thank you! You’re now signed up to receive our newsletters.